Dome’s in-country technical team adds significant weight to furthering understanding of the potential of our project portfolio, with a significant exploration track record in Fiji. We are pleased to have secured the services of highly experienced geologists, which will assist to bolster our growth strategy and build the value of our assets and subsequently value for shareholders. 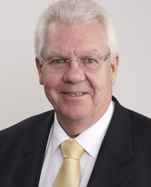 Mr Jack McCarthy is an expert geologist with over 36 years’ experience worldwide including Canada, Africa, Vietnam and Australia. Jack worked as an Exploration Geologist with A.C.A Howe International in Canada before moving to Namibia, Africa and then Australia where he rose to Managing Director of A.C.A. Howe Australia. In 1990, he was appointed director of Talon Environment and General Manager of Jasmetech Metal Technologies, based in Montreal Canada. In 1996 Jack moved to Hanoi, Vietnam to join Axiom Mining Limited as an Executive Director and Chief Geologist responsible for all geological property acquisition and exploration by the company. Jack played the key management role in the IPO and listing of Axiom on the ASX (AVQ) in 2006 and remained with Axiom until May 2011. Jack’s professional experience includes extensive work in mineral exploration, project acquisition-assessment and preparation of public company qualifying reports. He holds a Bachelor of Science, Major Geology, from the St Francis Xavier University, Nova Scotia, Canada. 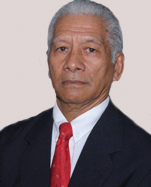 Mr Suliana Niurou is a geologist with over 30 years’ experience in the Fijian mining and exploration sector. Suliana has extensive experience working on large scale gold exploration projects in Fiji, initially working for 10 years at the Vatukoula Mine (formerly the Emperor Gold Mine), Fiji’s largest operating gold mine. Suliana was also the former Senior Economic/Resource Geologist with the Mineral Resources Department in Fiji, a position he held for 8 years. Since 1994, Suliana has worked as a geological consultant assisting a range of major companies with their operational activities in Fiji. Suliana holds a Bachelor of Science (Geology) from the University of New South Wales, Sydney.